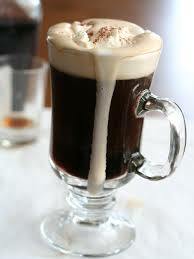 This Mexican Coffee drink recipe is made using two signature Mexican alcohols - tequila and Kahlua. Add some whipped cream and garnish with a little nutmeg if you'd like and you'll have a beverage that tastes wonderful and will relax you on a chilly evening. You can use decaffeinated coffee instead of regular so it won't inhibit a good night's sleep. As you may know, tequila is made from the fermented juice of the agave plant. Tequila is the national drink of Mexico. It is like a fine cognac in that it gets better with aging. Popular brands include Jose Cuervo, Patron and Sauza. This drink recipe is also a wonderful finish to a great dinner when you are entertaining. Serve this to your guests and they'll have to praise you twice, once for your cooking and once for your bartending skills! If you intend to offer this beverage as part of a Cinco de Mayo celebration, don't forget to check out the food suggestions on the website for such an occasion. Just click on Cinco de Mayo Recipe Ideas. On that page you'll also find other drink recipes that utilize Mexican alcohol for recognizing the Hispanic cultural influences in our lives. Of course, the classic Margarita is there, but so are favorite restaurant recipes for A Mexican Flag Cocktail - Coctel Bandera Mexicana, a Prickly Pear Margarita, and a Baja Prickly Pear Margarita. For this restaurant drink recipe I prefer to use white tequila. It seems to have a more subtle taste with a little less bite than some other types of tequila. I usually buy Sauza, although another brand may work just as well. 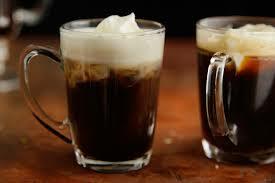 Enjoy your Tequila-Kahlua Coffee Recipe and the company of those you share it with!